The story explaining how the mysterious and infinite number got its name. One of the most important numbers in math might today be named after the Greek letter π or “pi”, but the convention of representing it this way actually doesn’t come from Greece at all. It comes from the pen of an 18th century farmer’s son and largely self-taught mathematician from the small island of Anglesey in Wales. The Welsh Government has even renamed Pi Day (on March 14 or 3/14, which matches the first three digits of pi, 3.14) as “Pi Day Cymru”. The importance of the number we now call pi has been known about since ancient Egyptian times. It allows you to calculate the circumference and area of a circle from its diameter (and vice versa). But it’s also a number that crops up across all scientific disciplines from cosmology to thermodynamics. Yet even after mathematicians worked out how to calculate pi accurately to over 100 decimal places at the start of the 18th century, we didn’t have an agreed symbol for the number. This all changed thanks to William Jones who was born in 1674 in the parish of Llanfihangel Tre’r Beirdd. After attending a charity school, Jones landed a job as a merchant’s accountant and then as a math teacher on a warship, before publishing A New Compendium of the Whole Art of Navigation, his first book in 1702 on the mathematics of navigation. On his return to Britain, he began to teach math in London, possibly starting by holding classes in coffee shops for a small fee. Shortly afterwards he published Synopsis palmariorum matheseos, a summary of the current state of the art developments in mathematics which reflected his own particular interests. In it is the first recorded use of the symbol π as the number that gives the ratio of a circle’s circumference to its diameter. We typically think of this number as being about 3.14, but Jones rightly suspected that the digits after its decimal point were infinite and non-repeating. This meant it could never be “expressed in numbers”, as he put it. That was why he recognised the number needed its own symbol. It is commonly thought that he chose pi either because it is the first letter of the word for periphery (περιφέρεια) or because it is the first letter of the word for perimeter (περίμετρος), or both. In the pages of his Synopsis, Jones also showed his familiarity with the notion of an infinite series and how it could help calculate pi far more accurately than was possible just by drawing and measuring circles. An infinite series is the total of all the numbers in a sequence that goes on forever, for example ½ + ¼ + ⅛ + and so on. Adding an infinite sequence of ever-smaller fractions like this can bring you closer and closer to a number with an infinite number of digits after the decimal point - just like pi. So by defining the right sequence, mathematicians were able to calculate pi to an increasing number of decimal places. Infinite series also assist our understanding of rational numbers, more commonly referred to as fractions. Irrational numbers are the ones, like pi, that can’t be written as a fraction, which is why Jones decided it needed its own symbol. What he wasn’t able to do was prove with math that the digits of pi definitely were infinite and non-repeating and so that the number was truly irrational. This would eventually be achieved in 1768 by the French mathematician Johann Heinrich Lambert. Jones dipped his toes into the subject and showed an intuitive grasp of the complexity of pi but lacked the analytical tools to enable him to develop his ideas further. Despite this —- and his obscure background —- Jones’s book was a success and led him to become an important and influential member of the scientific establishment. He was noticed and befriended by two of Britain’s foremost mathematicians — Edmund Halley and Sir Isaac Newton — and was elected a fellow of the Royal Society in 1711. He later became the editor and publisher of many of Newton’s manuscripts and built up an extraordinary library that was one of the greatest collections of books on science and mathematics ever known, and only recently fully dispersed. 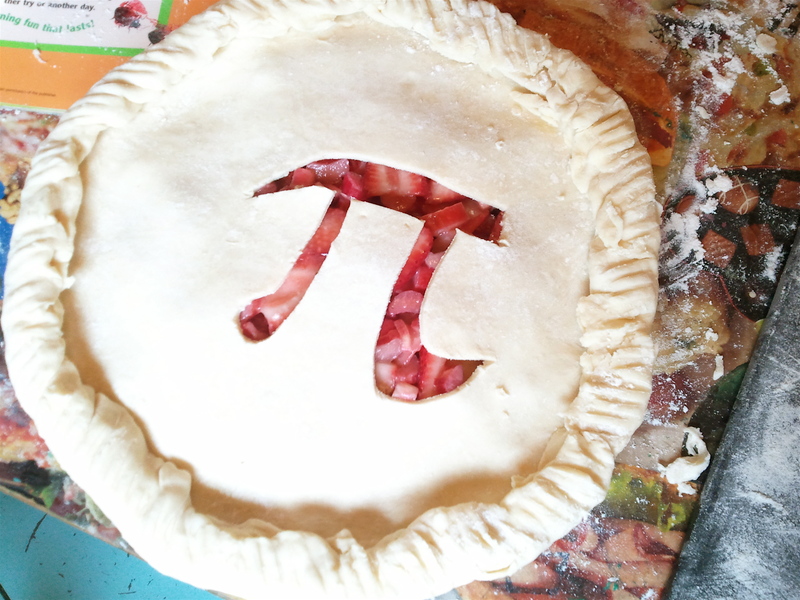 Despite this success, the use of the symbol π spread slowly at first. It was popularized in 1737 by the Swiss mathematician Leonhard Euler (1707–83), one of the most eminent mathematicians of the 18th century, who likely came across Jones’ work while studying Newton at the University of Basel. His endorsement of the symbol in his own work ensured that it received wide publicity, yet even then the symbol wasn’t adopted universally until as late as 1934. Today π is instantly recognized worldwide but few know that its history can be traced back to a small village in the heart of Anglesey. This article was originally published on The Conversation by Gareth Ffowc Roberts, Emeritus Professor of Education, Bangor University. Read the original article here. What Is Pi Day Anyways?